Create 24 amazingly adorable nightlights. Each pattern has a color key to help with glass selection. A color photo of each design is included. 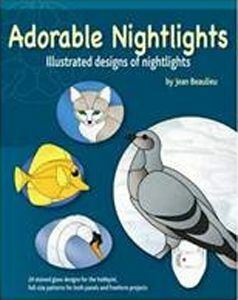 Includes: A wide variety of designs to choose from, including birds, butterflies, furry friends and more.